Dear Friends, Women Visitors of our web site! 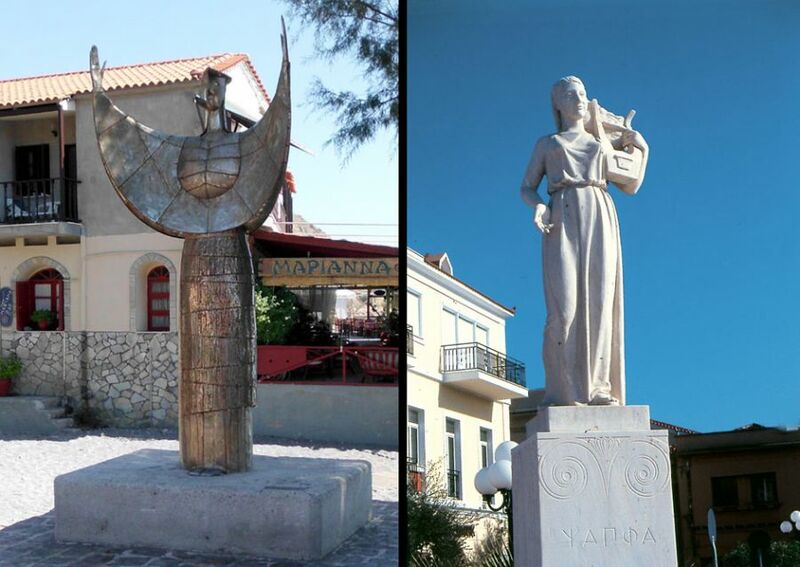 We invite you at our island Lesvos or Lesbos, the birth place of the world wide famous ancient lyric poetess Sappho. The tenth muse! The first woman feminist all over the world, who she first fighted for the rights of women in ancient Greece! And for this kind of her activities, the politicians in ancient Greece, never forgive her! Sappho was the lyric poetess, whose poetry was so well renowned, that Plato referred to her two centuries after her death as the tenth muse. «Εννέα τινές φασιν τάς μοũσας είναι. Εγώ δέ φημί Λεσβίαν Μοũσαν τήν δεκάτην.» Her real name was Ψάπφα (=Psáppha). She was born in Eresos on the island of Lesvos or Lesbos. Although her life is little documented, it appears that she was of noble family and was a contemporary of the lyric poet Alcaeus. According unconfirmed references about her, she had been married to a wealthy man from the island of Andros and she had born a daughter named Cleis. 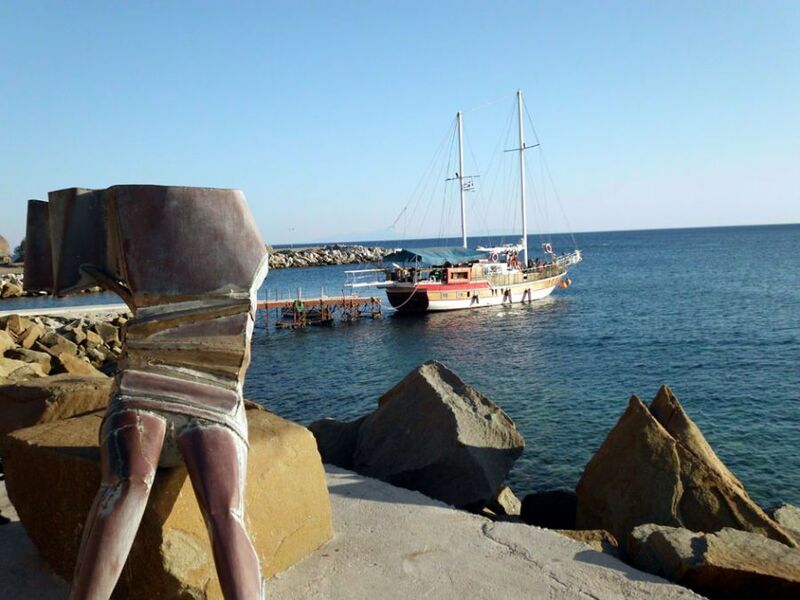 Another legend holds that because of unrequited love for the young boatman Phaon she leapt to her death from a steep rock at the cape Lefkata in the island of Lefkas. She was involved in Lesvos politics, plus her revolutionary women's liberation against a mans world, caused her many enemies resulting her exile to Sicily. Her enemies politicians, and her own trade created myths against her. In Syracuse Sicily her statue stood, and later in Lesvos coins with her image and name were minted, and a huge statue of her was in the town's square. The fragmentary remains of Sappho's poems indicate that she taught her art to a group of young women, to whom she was devotedly attached and whose bridal odes she composed when they left her to be married. The poet Anacreon (mid-6th century b.c. 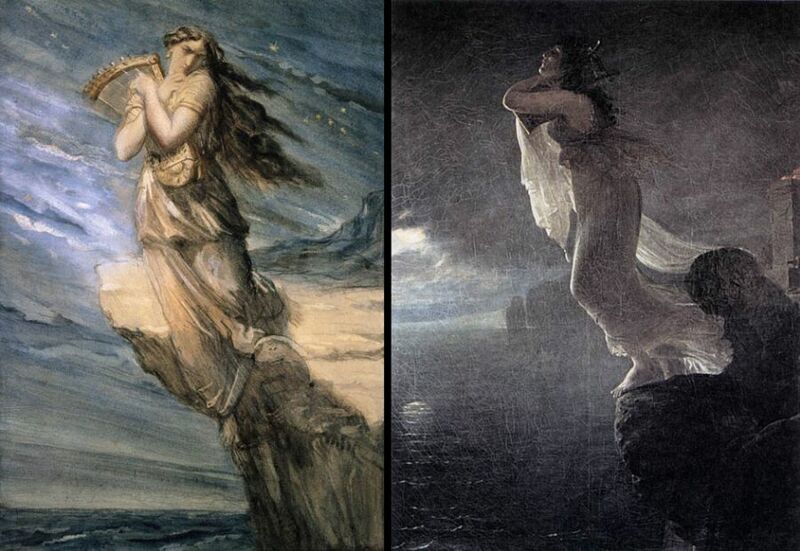 ), commenting upon the group, claimed Sappho felt sexual love for women from which arose the modern terms, “lesbianism“ and “sapphism” to describe female homosexuality. Her bad reputation was insubstantial of such rumors, the Athenian comedy took advantage because of jealousy, they refused to accept the facts that Lesvos was more advanced in poetry and music than Athens, with so many big names (Sappho, Alcaeus, Arion, Terpandros, Leshis, Herina). To prove her innocence, she was never accused for improper behaviour to her female pupils or any other female in her life. 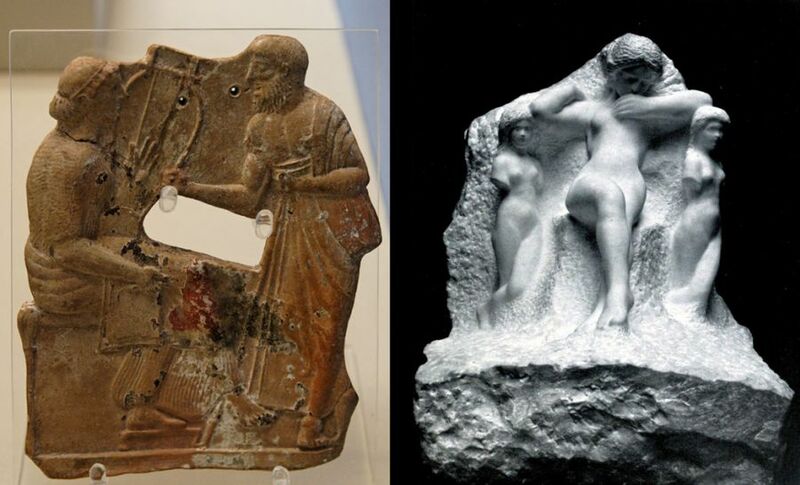 The strict Athenian laws by Solon the law giver (640-560bc) contemporary to Sappho, forbidding homosexuals to participate in a government office or any public appearance or speech, and under extreme condition punishment was death. Solon who legislated the law didn't stop him admiring Sappho's poetry and music. Her reputation is based on some of the fragments of her poetry, at times expressing male desires to provoke young men, proof of her perfect conformation to their lives for the duties of morality, her poetry effected some as a result to misunderstand her. 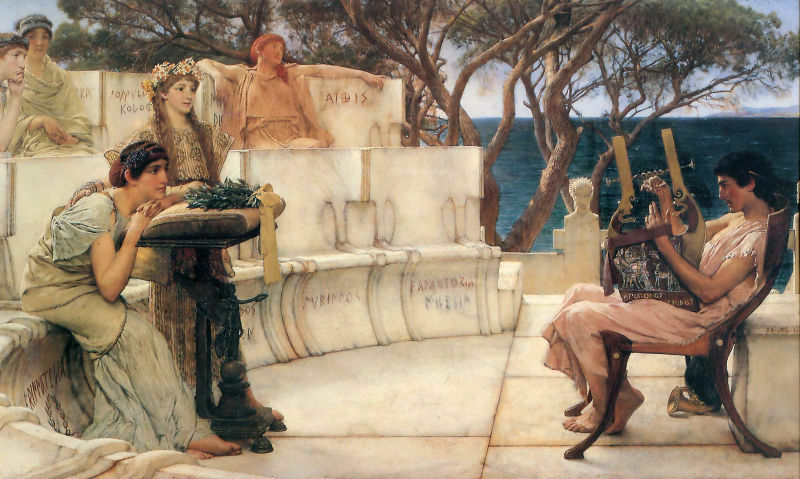 Sappho wrote nine books of odes, epithalamia or wedding songs, elegies, and hymns, but the surviving fragments are few. They include the Ode to Aphrodite, quoted by the scholar Dionysius of Halicarnassus in the 1st century b.c.. New fragments of her poems were discovered on papyrus in the 20th century. Sappho's poems are marked by exquisite beauty of diction, perfect simplicity of form, and intensity of emotion. She invented the verse form known as Sapphics, a four line stanza in which the first three lines are each 11 syllables long and the fourth is 5 syllables long. Many later Greek poets were influenced by Sappho, particularly Theocritus. 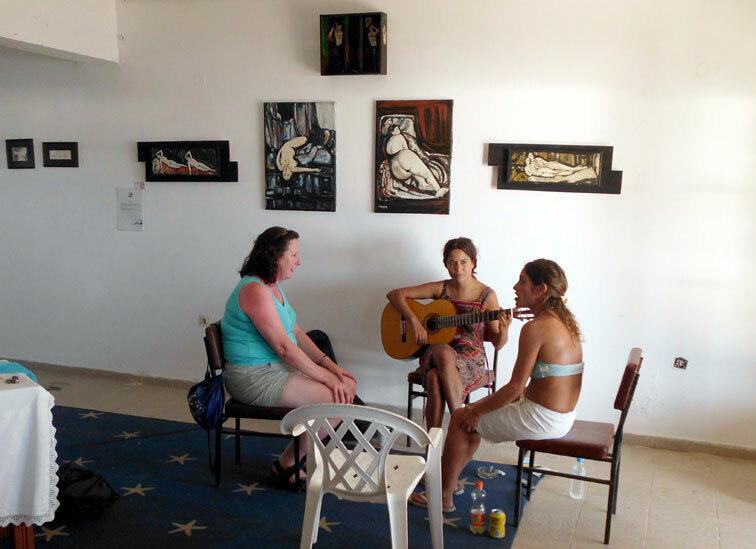 In case that the history of Sappho will touch your heart! In case you want to learn more about Sappho and her birth place Eressos-Lesbos, you can visit the island alone or with your friends! 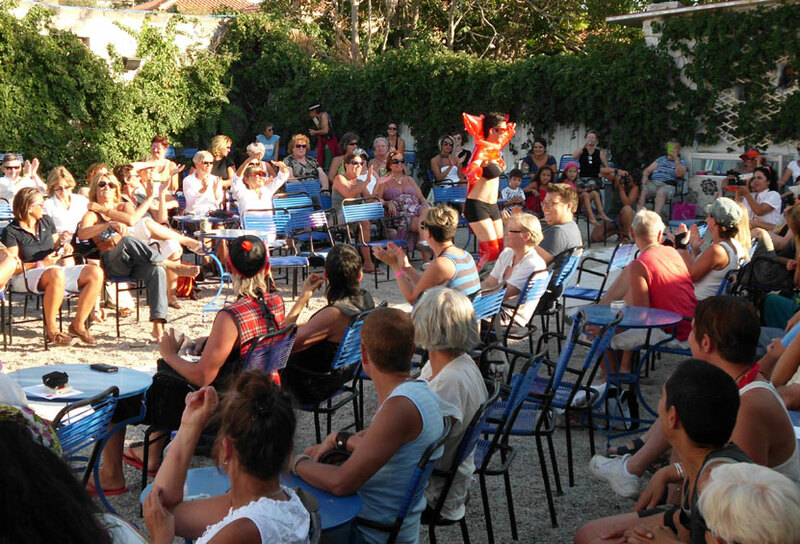 In this case we will fix a nice vacation programm for you including everything for your amazing stay! 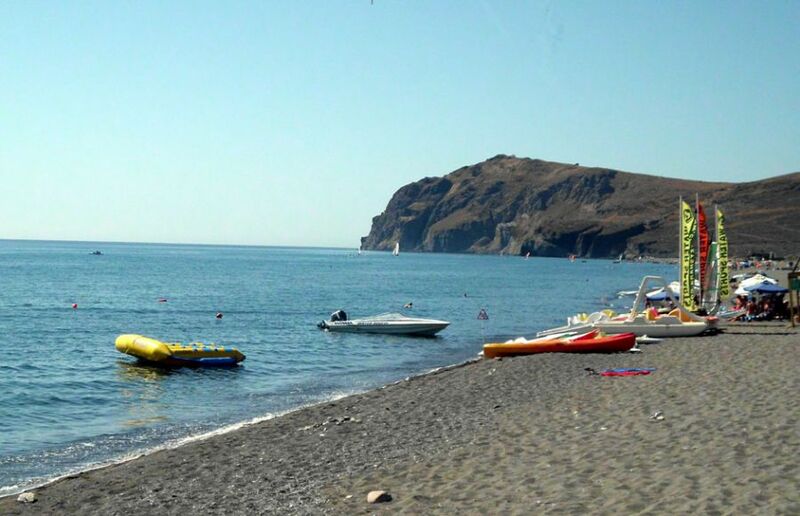 Then you will have the opportunity to enjoy the crystal clear water of Lesvos beaches, the traditional dishes of the local kitchen, the amazing enviroment and nature of the island and much more. 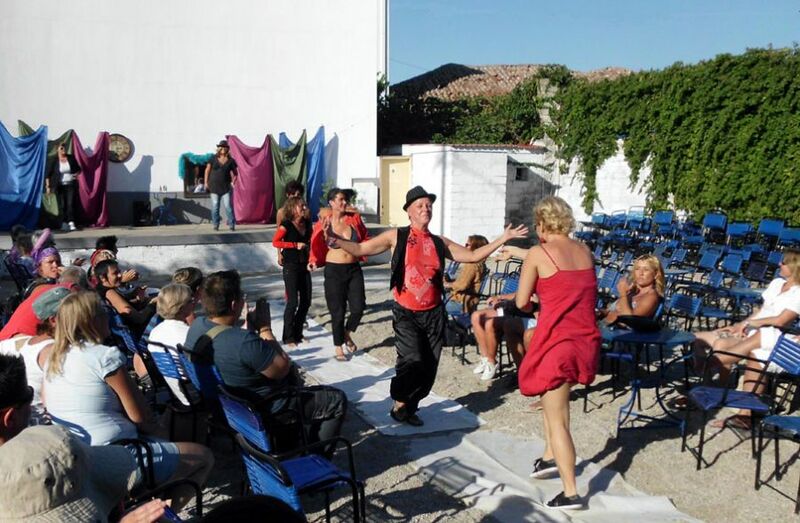 If you think to visit Lesvos in May or in September, you can join to the WOMEN'S FESTIVAL taking place in Eresos 2 times every year!